What else can you expect when you call ECO-Guard Pest Solutions? We guarantee your satisfaction with our services and service provider. As an ECO-Guard Pest Solution client, if you are not satisfied with your pest services we will return to your home and diligently work to solve the problem. If the pest problem is not solved to your satisfaction, we will keep working until you are completely satisfied, or we will refund your last scheduled service payment. You have our promise! Thank You for allowing ECO-Guard Pest Solutions the chance to serve you better! Just fill out the form below for your free, no-obligation inspection of your home or commercial property. Our ECO-Guard Program Specialist will contact you to setup an appointment and conduct a thorough inspection at your convenience. Upon completion of your inspection, you'll receive a detailed report of our findings, recommendations and our plan to start working on your pest problem. 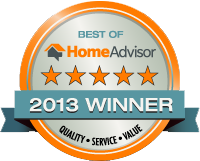 ECO-Guard Pest Solutions services all of Central New Jersey with pride! Quick Response We'll have an inspector on your property within 24 hours if necessary, scheduled at your convenience. It's the same, attentive service all of our customers receive. Detailed, Customized Service Our trained, experienced professionals will identify any existing or potential pest conditions, in and around your home and landscape, and then provide you with a detailed, written explanation on what was found. Most importantly, we'll provide a customized plan to correct any problems. After all, the best plan of action is the one created just for your situation. Trained Expertise Our specialists, technicians and managers are continually trained on the latest techniques and treatments. This means you get expert solutions and advice on any existing pest, bed bug, wildlife or termite infestation. Guaranteed Satisfaction Our training and attention to detail enable us to provide one of the best, clearest, easy-to-understand guarantees in the business. Please provide a description of problem.